Vitamix needed a stronger tool to educate shoppers about the unique features of its latest food processing products. The brand is the top seller among professional chefs who are well educated on their equipment, and it needed a stronger instore campaign to engage and educate home kitchen chefs as well. 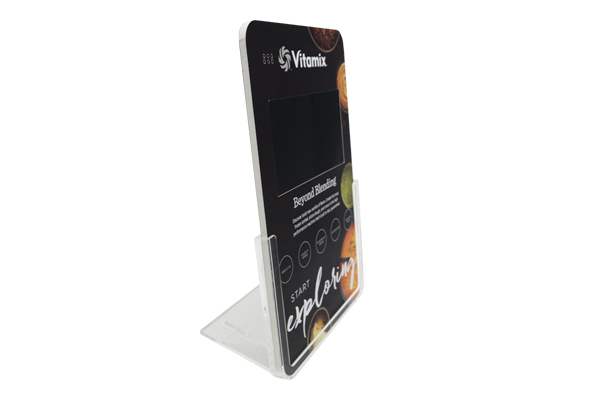 When your product is better than the rest, you need a highly visible device right at the point of sale to trumpet that message. 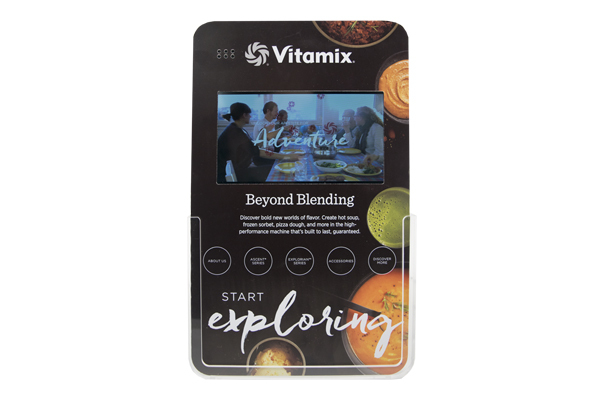 Americhip partnered with Vitamix to design a custom 7” Video Blade with eye catching graphics that pulled in any interested consumers. We then programmed five compelling videos onto each Blade to tell the full story of the Vitamix brand and product series. There’s no better way to distinguish yourself from the competition than to tell your story with compelling video content right in the aisle where your consumers are ready to buy and looking to be convinced. Put Americhip’s innovative Video Blade line to work for your next instore campaign.